Due for release in Japan on October 28 and on November 4 for the rest of the world, the record marks a return to rock for the bassist/vocalist after working on various projects in recent years, including California Breed and the recently-reunited Black Country Communion. "We know each other so well and it's always fun because playing with Glenn, like any real artist, is always trying to grow and change and do new things,” raves Smith. “We have this musical telepathy that only happens when you play and know someone for many years - and that's what a good, creative collaboration is all about. He's a pretty good singer, but he's an even better human being." 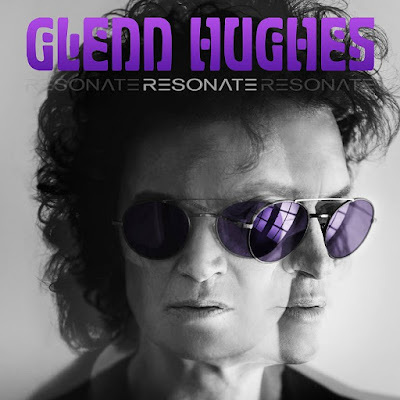 "Resonate" will be available on digital, vinyl, standard CD and Deluxe Editions, which adds the bonus track, "Nothing's The Same", and a DVD featuring a "making of" album documentary and music videos for "Heavy" and "Long Time Gone." A full tracklist for "Resonate" can be found below the video. Earlier this year, Hughes was inducted into the 2016 Rock And Roll Hall Of Fame as a member of Deep Purple. The bassist is currently playing live dates in South America and will begin a UK tour in early November.